13781 Moss Agate Avenue is a brand new home in the community of Tuscany in Delray Beach. The 4 bedroom, 3 bathroom home has an open floor plan and great details such as the granite counters and tile flooring. The kitchen offers stainless steel appliances, 42 inch cabinets, granite counters, an island, and a snack bar. The master suite has his and her walk in closets, dual vanities, a tub, and a separate walk in shower. Tuscany has great amenities. For example, some amenities are the clubhouse, fitness center, event room, card room, indoor sports court, tennis courts, pool, and a kiddie pool. 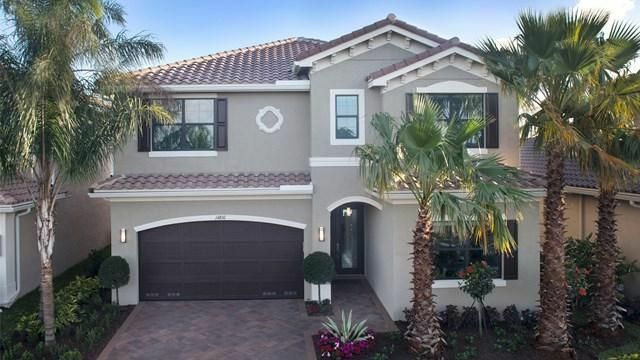 To get more information on 13781 Moss Agate Avenue here in Delray Beach, please contact one of our dedicated Distinct Estates agents who will be glad to show you homes in Tuscany or in other parts of South Florida.